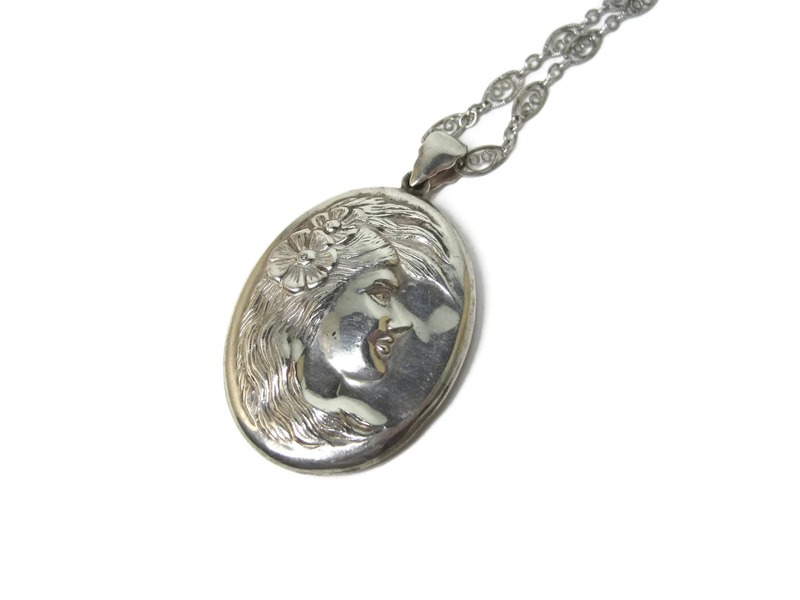 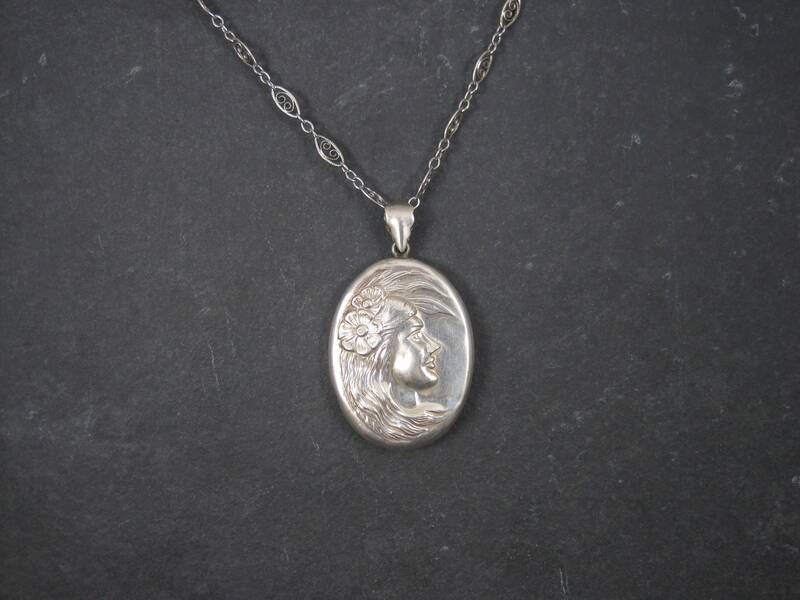 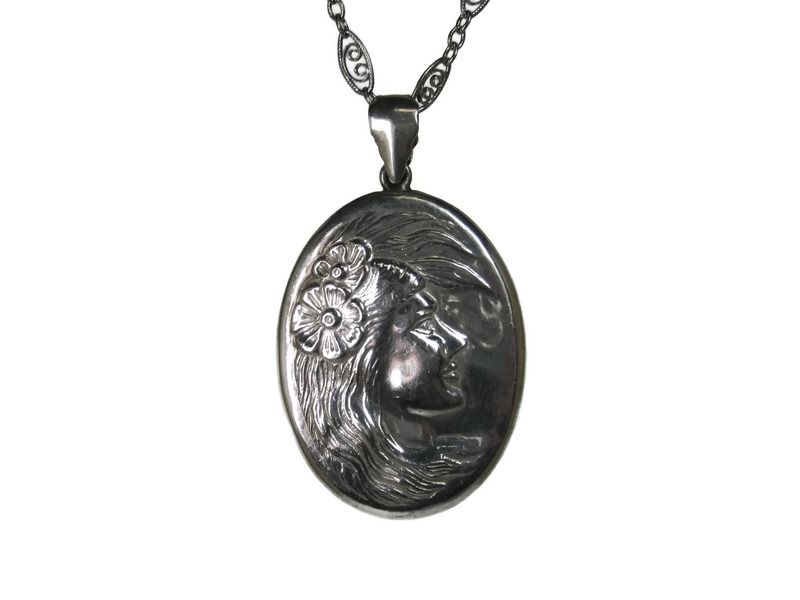 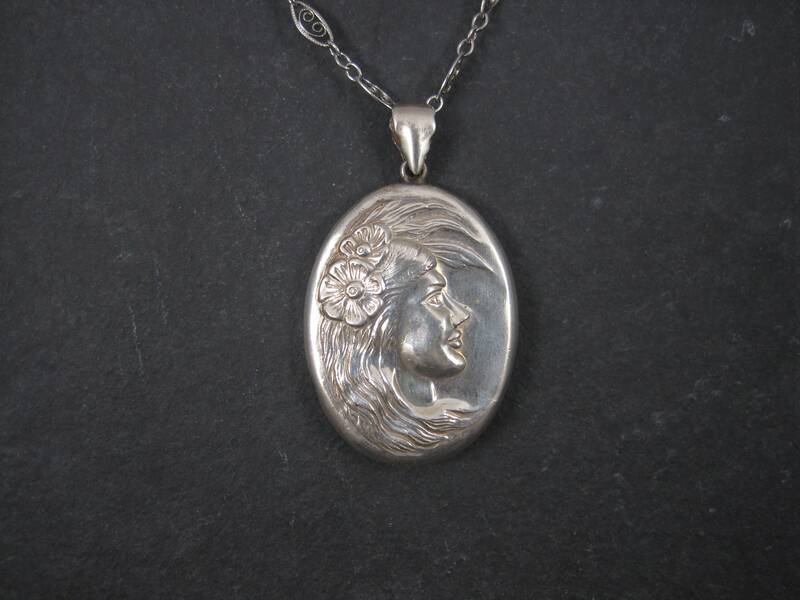 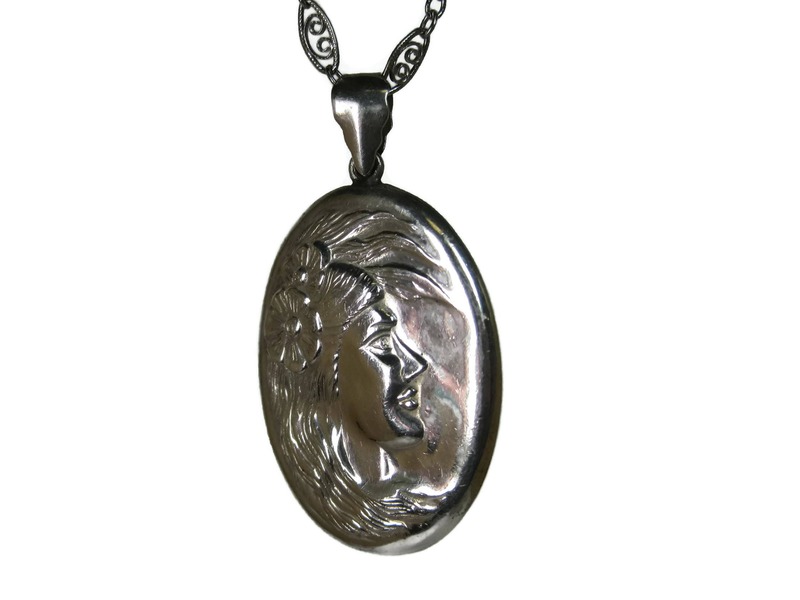 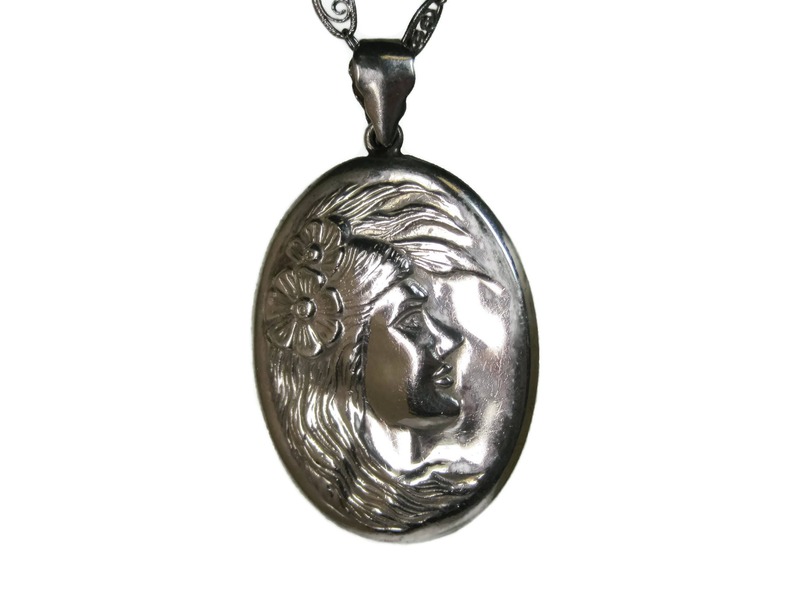 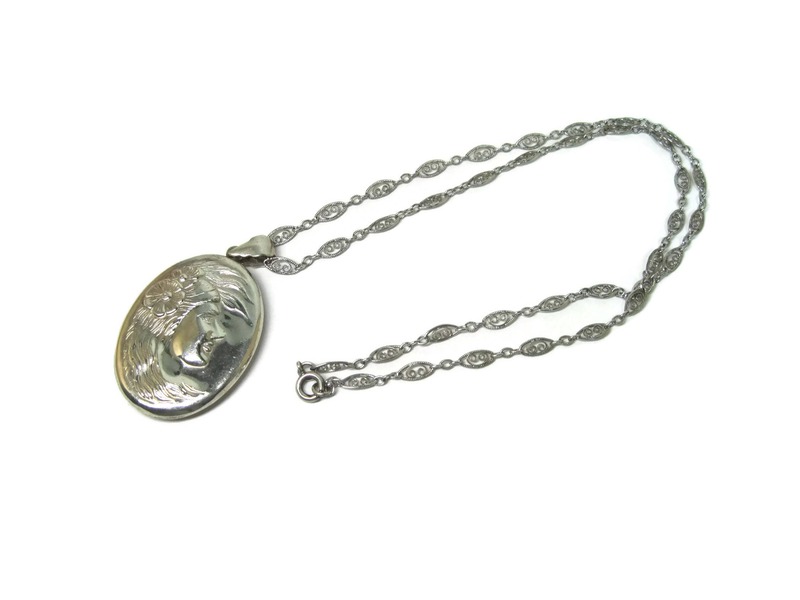 This beautiful Art Nouveau style pendant is sterling silver and double sided. 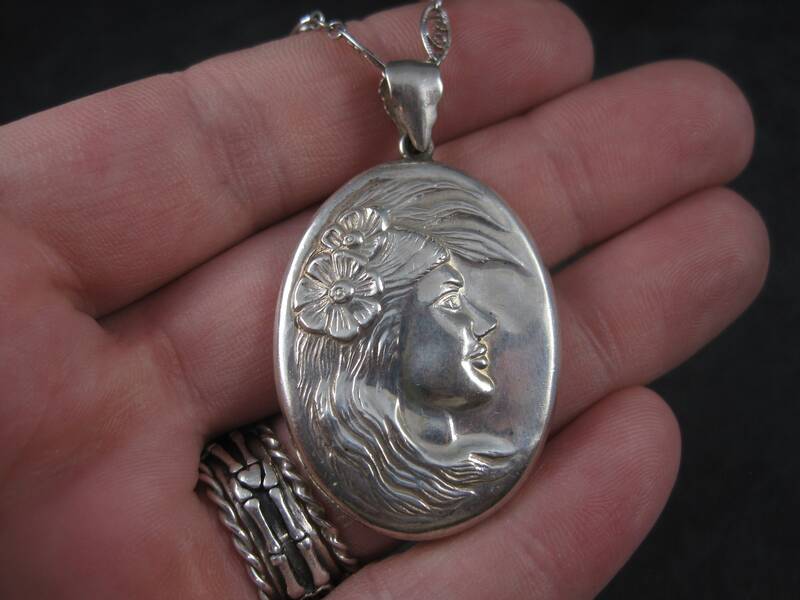 Measurements: 1 1/16 by 1 13/16 inches. 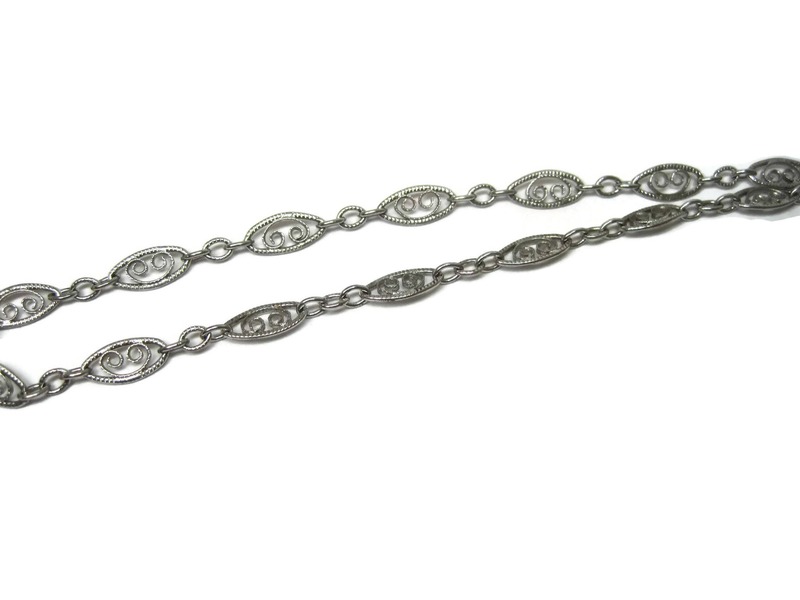 Comes with a beautiful vintage sterling silver filigree chain measuring 4mm wide and 18 inches long. 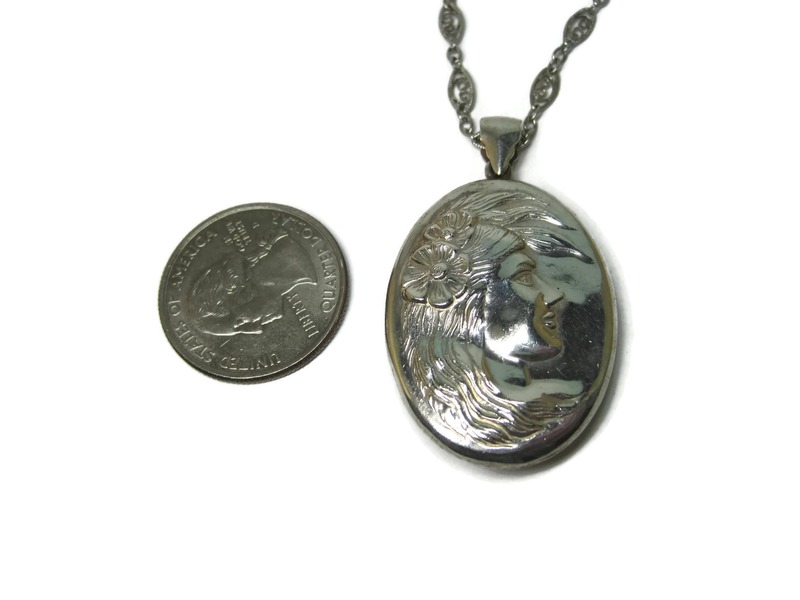 Both pendant and chain are in excellent condition.